Star Wars: The Last Jedi - Director Explains Title | Nerd Much? Now, Johnson has confirmed that this statement refers entirely to Luke Skywalker himself. Interesting, given that he will be teaching Rey at least how to use the light sabre. Though one should keep in mind that Jedi is a kind of religion in the Star Wars universe. It is a philosophy to live by that allows certain specially trained people to access the Force. The Force being the tricky balance between good and evil. 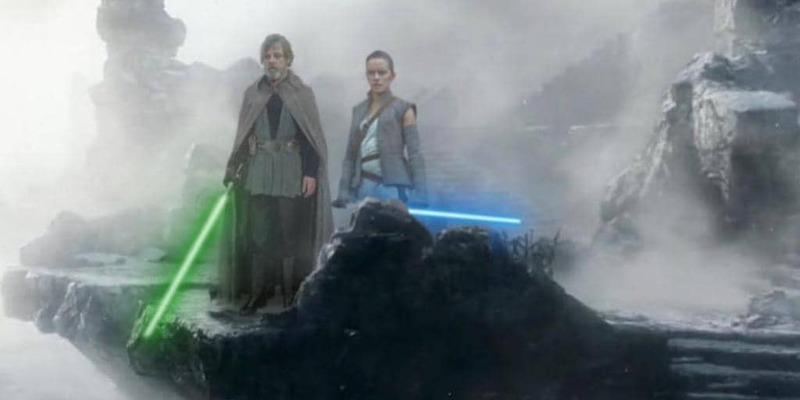 There is a theory about this balance, which would make Skywalker’s decision make a great deal of sense. It states that the balance is just that, a balance. It does not favour good any more than it favours evil. Jedi, or Sith. As such, only when a great evil is done can great good reign once again. Normal people are just caught in the middle of it all. So yes, perhaps the world of Star Wars would be a better place without people that are able to manipulate the Force in their favour, whatever that might be. Then instead of relying on specific set ideologies to assure peace in the world, people can do it without waiting around for a chosen one to come along every time a relative turns to the Dark Side. Not that people are necessarily waiting around for the chosen one to appear. Most of the time the rebellion finds their Skywalker or Rey many years into the war. But still, the war doesn’t end until this special person is found, trained, and pitted against the evil relative. Do you think this is the reason Skywalker isolated himself? Let us know your thoughts in the comments below. Star Wars: The Last Jedi debuts in theaters on December 15, 2017.